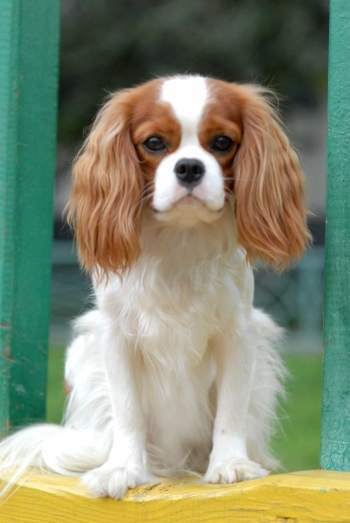 Most people are first attracted to the Cavalier by its sweet, gentle face and constantly wagging tail. They can fit into the bustling lifestyle of a young family yet they can be just as happy brightening up the lives of those who might otherwise be lonely in their retirement. 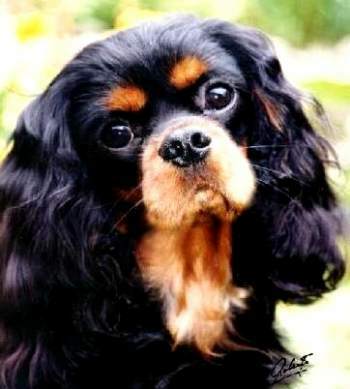 The Cavalier is a little dog that thinks it´s a big dog. However, it will never be more content than when sitting on your lap by the fire, being your best friend. Temperament is the primary consideration for responsible breeders. 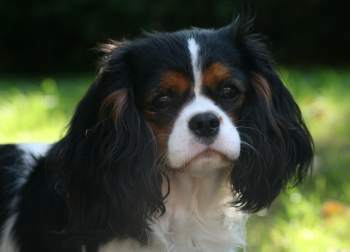 If a Cavalier isn´t "active, fearless and very gay," it isn´t really a Cavalier. 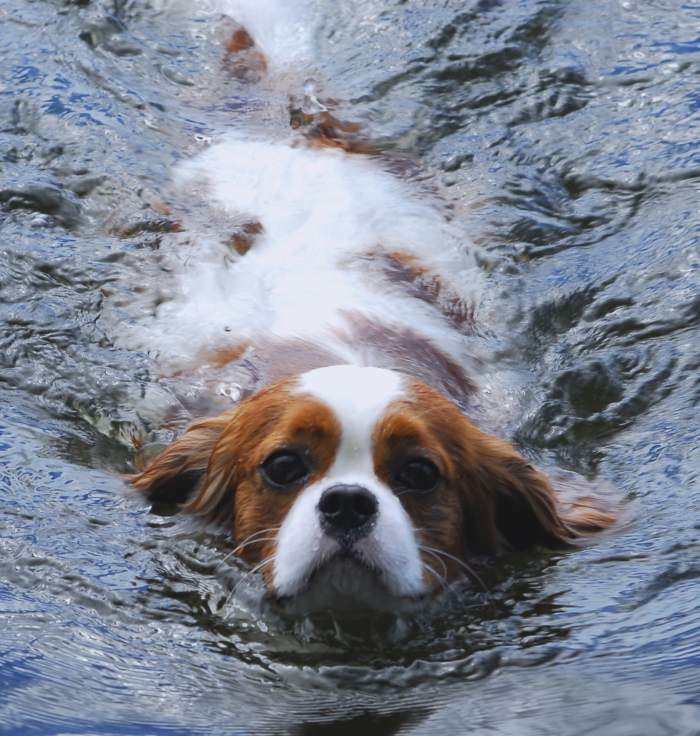 Cavaliers are quite sociable animals and tend to enjoy the coompany of other dogs and cats, especially if they are brought up with them. Ravenblack with tan markings above the eyes, on cheeks, inside ears, on chest and legs and underside of tail. Tan should be bright. White marks undesirable. Whole coloured rich red. White markings undesirable. Rich chestnut markings well broken up, on pearly white ground. 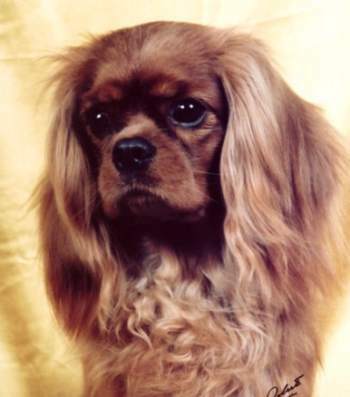 Markings evenly divided on head, leaving room between ears for much valued lozenge mark or spot (a unique characteristic of the breed). Black and white well spaced, broken up, with tan markings over eyes, cheeks, inside ears, inside legs, and on underside of tail.